This scary little broken baby doll is just sitting out in the graveyard on her blanky, but don't get to close as she may come to life and get you! When activated she will sing an eerie lullaby then lunge forward with blood curdling screams and giggles!! 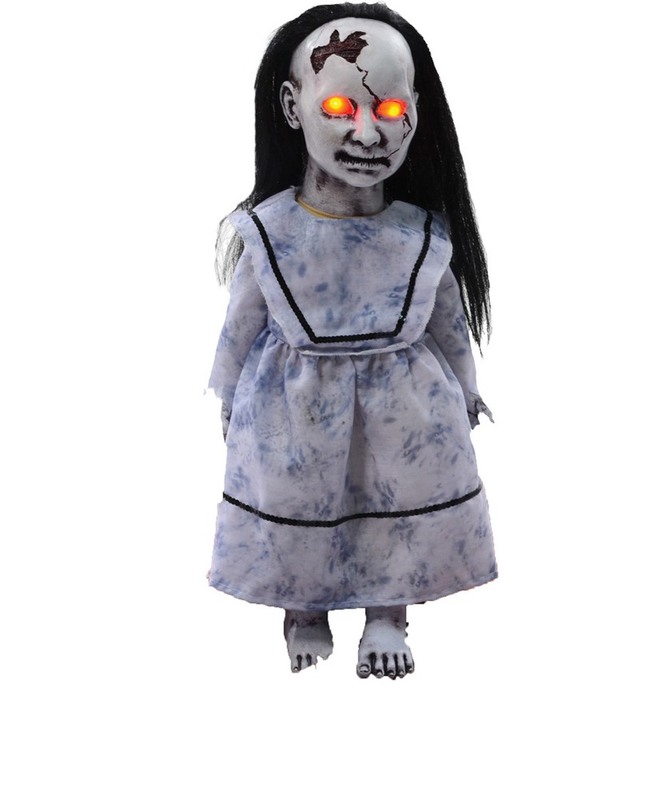 Injection-molded mechanism of a lunging baby doll character, featuring fabric costume, Printed soiled blanket, Soft-PVC head with long stringy hair, Soft-PVC hands and feet. Red LED eyes & sounds.Battery-operated, Choose from try-me, foot pad,or infared motion sensor. Easy to assemble. Uses 4 AA batteries (not included).